Last year, The Wall Street Journal predicted that the Initial Coin Offering (ICO) is going to be the “New Road to Startup Riches”. They were perfectly right. By the end of 2017, ICOs raised $4 billion in funding, which was higher than the total amount generated by the Venture Capital Funding. Compared to traditional fundraising ways, ICOs have started to proliferate as more companies are opting this flexible way of fundraising to jump-start their business. ICOs not only help in raising funds, but it is also helping startups in establishing a loyal pool of investors. Although ICOs are in a boom, it does have certain risks associated with it. The class-action lawsuit against Tezos is a mere example of the worst part in an ICO boom. 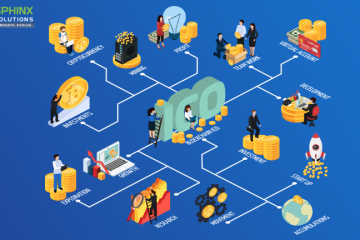 The harsh reality – many startups are attracted to ICOs and many are thinking to launch their own ICO; however, not all of them are fully aware of the essentialities, complexities, and legalities involved in an ICO launch. 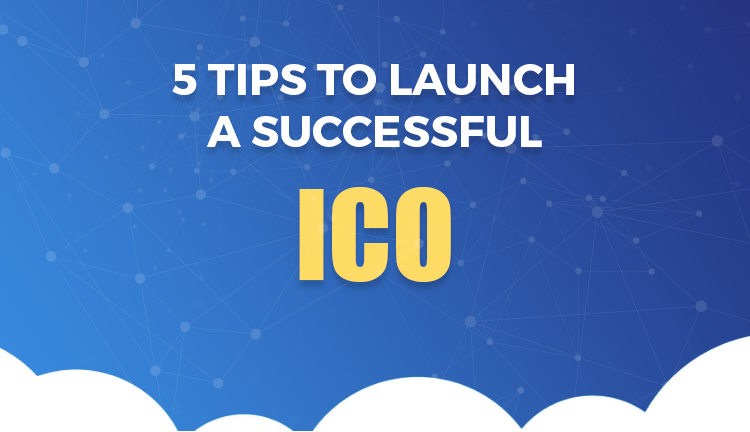 Consequently, if you are interested to launch your own ICO by mitigating the possibilities of failure, then these five tips will help you to launch your ICO successfully. A Minimum Viable Product or an MVP is the first viewable version of the product. It should have been designed, meticulously with minimum yet satisfactory features to impress early adopters and to validate the idea based on use and demand offering a glimpse of how the final product is supposed to be developed. MVP can also be described as “Minimum Efforts, Maximum Learning” model. It has added importance in the pre-ICO launch phase as it offers you the opportunity to test your business idea in the real market and a chance to analyze the user behavior with a real product that you intend to develop. In addition to that, an MVP allows you to validate your risking assumptions, build a validated marketing strategy and avoid overbuilding or over promoting your product. Tip 1: Launch or showcase MVP before launching ICO as it helps you validate your product, service or idea quickly to decide whether to continue pursuing your product idea and if so, whether and how to modify it. It will create interest amongst investors for a particular product even before the full version of that product is ready for publishing. Remember, MVP’s represents a ‘Proof of Work’ and investors are attracted to ICOs having an MVP ready. Most of the companies launching ICOs are early-stage startups; therefore, people or the investors are interested to know more about the team behind a particular ICO project. Based on experience, skills, reputation, talent, and market awareness of a team, investors or the people determine the viability of a project from start to completion. More often, angel investors believe that the capabilities of the founding team vouch for the success or unsuccessfulness of an ICO project. Tip 2: Ensure your team consists of ideal traditional startup members, specialists in the cryptocurrency domain and personnel who have exhibited success in their previous ventures. Avoid onboarding team members who are unknown or who do not have any serious background information. Team members play a vital role in bringing relevant experience and connections to the table. Investors prefer a team that can assess their capabilities to collectively carry through with the vision of ICO. A brilliant business idea and a brilliant team are incomplete without a transparent and illustrative white paper. If you want, your ICO to succeed you will have to utilize the white paper as your go-to-market strategy. Investors take Whitepaper very much seriously, as it explains, demonstrates, and acts as a single point of information to conclude whether a startup is genuine or fake. Make sure your Whitepaper inspires early adopters because an ICO launched without white paper signals a lack of accountability and clarity of vision. Tip 3: Use your Whitepaper not just as a tool to illustrate with clarity what the project is about– but it should ideally inspire trust and create legitimacy in the minds of the people who are going to buy the tokens. Your white paper should include a vision of the project, technology used, assessment of the problems faced by the certain industry, how and why these problems are important, how your product will solve these problems, etc. Consequently, it should also contain token generation model how the tokens will be distributed, timeline and milestones of the project as well as about the core team and its record of accomplishment. Investors consider ICO white papers as a signaling tool used to reduce risks of falling prey to a fake ICO. Roadmap explains the future of an ICO project. The roadmap should not only explain the milestones or token exchange programs; but it should be all-inclusive, explaining what would happen a year after or after five years from now. The roadmap of an ICO project must display detailed aspects of your project and should provide investors with a vision of how the project will progress and what will be the measurable milestones that will be recorded as successes during the development process. Tip 4: Apart from your business idea, investors are more interested in the proposed roadmap of the project. Serious investors or early buyers believe in speculative analysis of the crypto asset (Pre and Post ICO launch), investors often refer to the previous milestones achieved and when the next one is bound to happen. You will notice a surge in the price of the asset when you are about to achieve a milestone. Thus, the roadmap and its content have a way of helping investors know when to be more involved in the project and also when to steer clear. After successfully building a dedicated community of early adopters and investors, you need to get in front of and reach potential new users, customers, partners and others who did not follow your ICO. Having an ICO PR strategy is important – if you want your ICO announcement to go viral, you need to make some noise among the Crypto Community. Make a list of all the social media channels and think of better ways to use them with the help of best and result oriented PR and Marketing strategy. Tip 5: Telegram and Slack have been dominant and most preferred social media channels by the crypto community. Use Reddit to build a ‘democratized’ platform allowing people to upvote/downvote depending on the quality of the content you will be posting. Think about the rising blockchain-based Steam-it platform to build your reputation. Apart from that, market your ICO on certain bitcoin forums to attract crypto-geeks and you can also use Facebook and Twitter to their fullest potential. Bitcoin technology and crypto environment are both fairly new to the world. Therefore, putting the best of your efforts into every possibility and opportunity even to make a small change happen is necessary. Sometimes the result won’t match your expectations, but you get to learn something at each ICO launching stage. Make sure to develop your documentation with utmost care and donnish excellence. Finally, to launch your ICO successfully, you need to stay honest with your audience, investors, and be a law-abiding team.